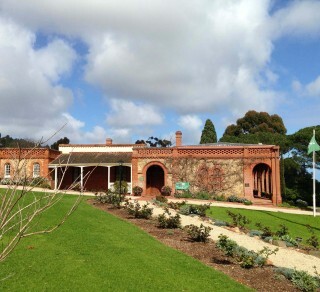 Beaumont House is a State Heritage listed property built in 1849 by Augustus Short, the first Anglican Bishop of Adelaide, and after, the home of Sir Samuel Davenport, politician, horticulturist & pioneer of the olive oil industry in SA. The house has a distinctive Mediterranean character with an open brickwork parapet in soft terracotta colours and a central flat roof originally accessed by a staircase. The NTSA Burnside Branch offer guided tours.